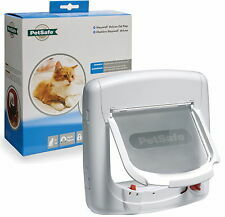 PETSAFE STAYWELL Pet Door, Cat Flap,Small Dog Flap,2 Way. White. 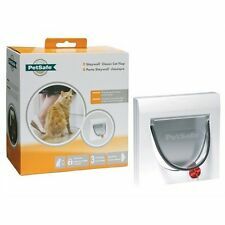 PETSAFE STAYWELL Pet Door, Cat Flap,Small Dog Flap,2 Way. Box a little tatty due to storage. Bought but never used. The colour is White.Condition is New. Dispatched with Royal Mail 2nd Class.Smoke free pet free home. Happy bidding Thanks for looking I post Mondays and Tuesdays only No returns Proof of postage kept for each item sold. I will not be held responsible for any item lost or damaged in the post. Once item is posted it’s out of my hands. Only bid if you intend to pay! Let all of your cats use your Magnetic Cat Flap or replace your cat's current magnetic collar key. This 2-pack of replacement magnetic keys is compatible with Staywell® Magnetic Cat Flaps (400 & 900 Series) Thanks for looking. PetSafe Staywell 2 Magnetic Keys 980ML - For 400 420 & 932 Series Cat Flaps Posted today if paid before 2pm Staywell Collar Key For932 Range (Silver 2 Keys) Staywell 980ml Silver Collar Key Pack For Use With 932 2 Keys In Pack Twin Pack of Magnetic Collar Keys for use with 932. Staywell microchip cat flap opened box . Fitted but cat too fat . Pet shoulder width 150mm. See photo's 2 small chips, 1 either side of tunnel. Uses 4 aa batteries. Dispatched with Royal Mail 2nd Class.. Suitable for Staywell cat door 919. Staywell Cat Door and Lock 730ef Brown. 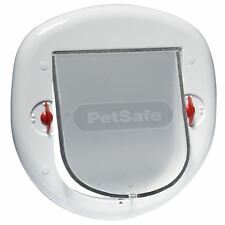 2 WAY PETSAFE STAYWELL CAT FLAP SMALL DOG DOOR. FITS WALLS MOST DOORS 715ef. Fits all walls and wooden doors. Weather resistant self closing see through magnetic flap. 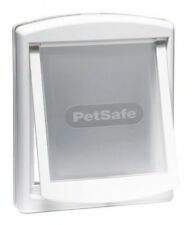 PETSAFE STAYWELL 2 WAY PET DOOR SMALL WHITE 715EF. 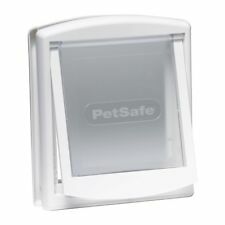 Pets are Staywell Pet door - for cats and small dogs. Brand new, unopened. 2-way model, fits wooden doors, brick walls, PVC/UPVC and metals doors. STAYWELL CLASSIC 932 WHITE PET DOOR. 4 WAY LOCK IN ONLY OUT ONLY LOCKED AND OPENED. Maximum pet weight: 7 kg (15 lbs. Maximum pet shoulder width: 162 mm (6 3/8"). Cut out size: 169 mm x 169 mm (6 5/8" x 6 5/8"). ). New cat flap, I bought this to install, then decided to go with a microchip version. It’s brand new in the original box. Dimensions: 22 cm x 22cm. 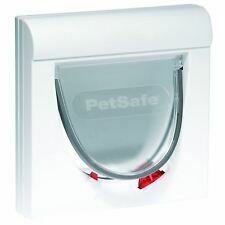 (Wicklow - Staywell® Classic Magnetic 4-Way Locking Cat Flap. 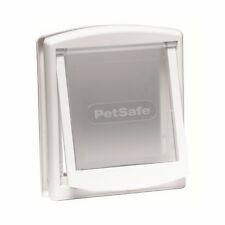 The Staywell Magnetic 4 Way Locking Classic Cat Flap works with the use of a magnet. Full details in the user guide). This can be very useful for deterring neighbourhood cats. 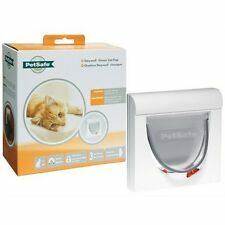 Staywell Collar Magnet Cat Flap Magnetic Key. Staywell magnetic collar key. It consists of 1 collar and magnetic key 1 spare key. Adjustable Collar. The largest Pet Door that can be installed into glass. Also suitable for regular doors and surfaces, this Pet Door features the 4 way locking option. Available in frosted and white finishes, it is suitable for cats and small dogs up to 10 kg. Product is new and has not been used, box does show signs of age(wear and tear) from prolonged storage time. 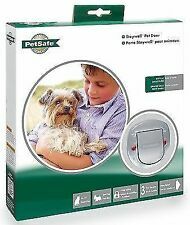 1 X PetSafe Staywell Original 2 Way Pet Door. Flap Size: 175 mm x 152 mm. 1 X Installation Guide. Cut out size: 185mm x 158mm.